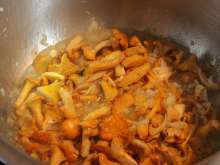 Cook finely chopped onion and chanterelle mushrooms in sizzling oil. Season with salt and pepper. 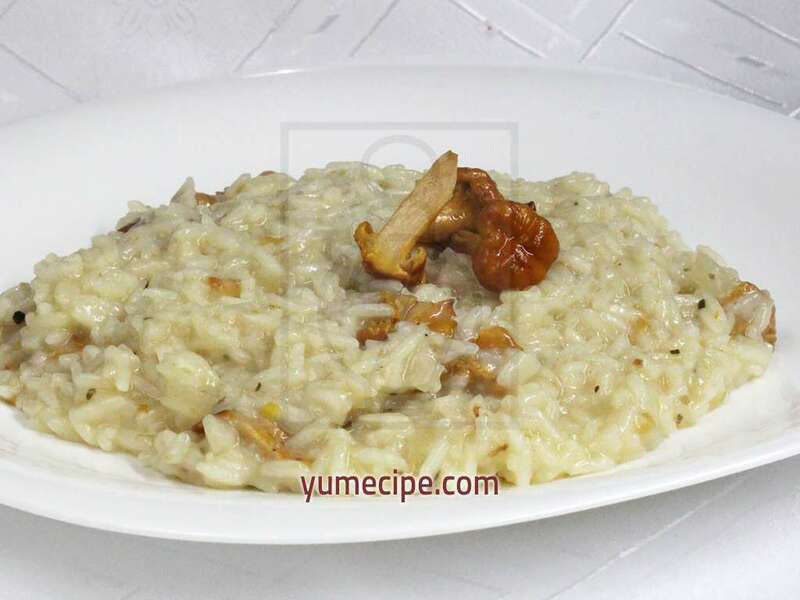 Add rice and cook for a while. Pour in white wine and broth. 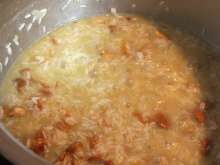 Continue cooking, pour in some broth and keep content of the pot in watery mushy consistency. Add dried basil leaves or fresh basil. 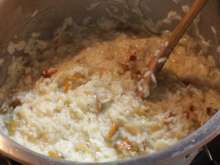 Once the rice is no longer crispy and becomes mushy on the surface, add a piece of butter and grated cheese. 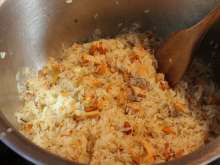 Mix well and leave it covered for 10 minutes.